Natalia Marshall was appointed the new AAPT Student representative on Council at the March 2012 Council meeting following a call for a volunteer from the trainee network. Natalia Marshall was appointed the new AAPT Student representative on Council at the March 2012 Council meeting following a call for a volunteer from the trainee network. The Council are delighted that Natalia volunteered for this role and also offer huge gratitude to Ben Deakin MAAPT who has developed the network over the last year. Ben will now be concentrating his efforts on running events with the London and South East region of the AAPT. Ever since school Natalia wanted to be a Mortuary technologist, and never gave up wanting that dream. 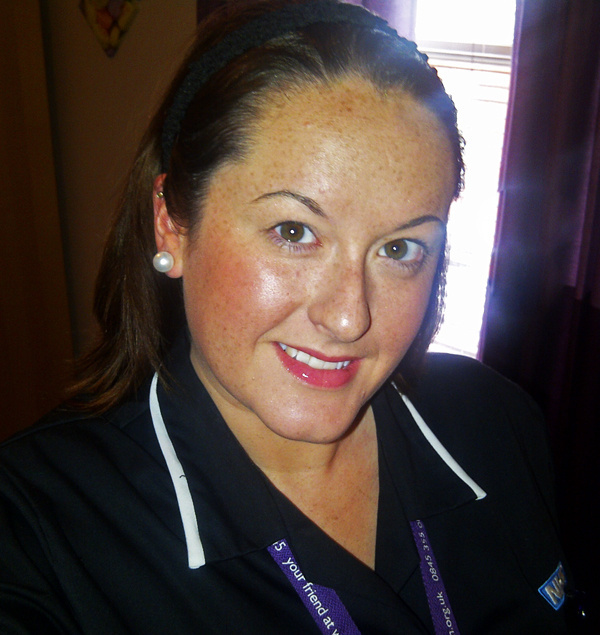 She worked on a voluntary basis in different Mortuaries and even took jobs working as a biomedical support worker to be close to the job in hand, and eventually the hard work and determination paid off, leaving the north east for the North West, Salford Royal Hospital- Manchester, to get on the path to becoming a Qualified APT. And now a year on from this trainee position, Natalia has taken her RSPH Examinations. "The exam for trainees is the most important thing you can take to becoming qualified, and is also most peoples "horror". I have heard many people say; "I haven’t enough time to study", "I haven't taken an exam in years, I won’t know what to do" and "I’m not clever enough to pass" but the thing is, YOU WILL! I’m not denying, you will panic and be nervous and your stress level will be high but just a little bit of forward planning will help you, as well as a full network of support from family, friends, work colleagues, fellow trainees and me with the AAPT. What I want to do is support you through all problem's, stresses and strains, and not just with the exam but if you feel you have issues that can’t be sorted at work, and need some advice, or your unhappy with training that is being provided and feel maybe there could be a better way to do something, then I’m here to listen and guide you down the best path where possible or even just be your sounding board sharing experiences. Just remember YOU ARE NOT ALONE! I am here for you! Let’s show others what a new generation of trainee APTS can do and inspire others after us"